Are you struggling to engage and/or connect with your target market? Does target marketing make you feel sleazy? Are you at a loss as to how social media can benefit your niche marketing efforts? Have you built a following, but are failing to convert? Brands that effectively engage and communicate with their target market/audience build trust, nurture relationships, and ultimately convert followers into loyal (paying!) customers and brand advocates. 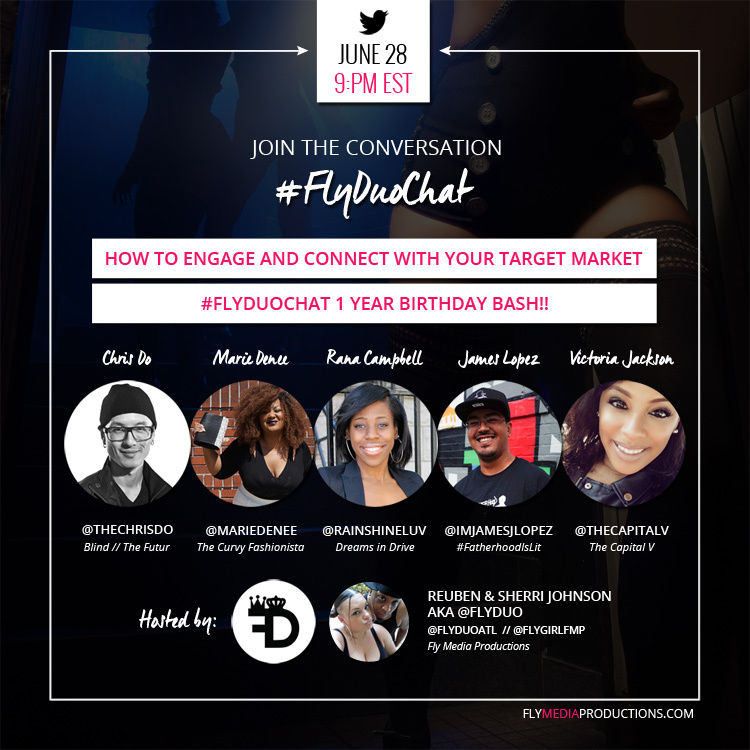 Come get’cha learn on and help us celebrate 1 Year of #FlyDuoChat while you’re at it! 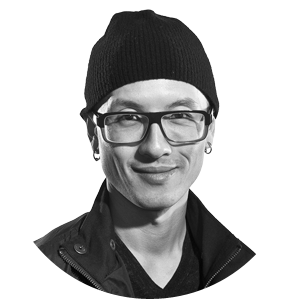 Chris Do | @thechrisdo - Chris Do is an Emmy award winning director, designer, strategist and educator. He’s the Chief Strategist and CEO of Blind and the Founder of The Futur — an online education platform that teaches the business of design to creative thinkers. His firm’s work has been recognized by national and international organizations such as: the Emmy’s, Effie Gold, Effie, Huffington Post, Lynda.com, Webbie, Communication Arts, London International Awards, One Show, British D&AD, AICP 20, Pictoplasma, How, 72 dpi, L.A. Weekly, Boards, Res 10, Type Directors Club, IDN, Addy Awards, BDA, Create, Stash, Creatie Augustus 2010, Motion Design, Asia Image, Brief, 365 AIGA Year In Design 26, Art Director’s Club, Motionographer, New York Festivals, B Brand, PPaper, I.D., and Print. 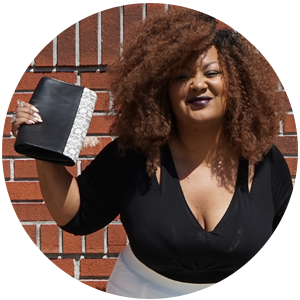 Marie Denee | @mariedenee - Marie Denee is the creator of the plus size lifestyle brand, The Curvy Fashionista. She is an established and respected voice in the plus size fashion arena. Through her award winning blog, The Curvy Fashionista, Marie showcases fashion options, shares news and events for plus size women in a world where fashion for the plus size community is often overlooked. The Curvy Fashionista has recently added three very successful events, TCFSWIM, TCFStyle Brunch Series and the TCFStyle Expo to the brand and will introduce more plus size focused events in 2017. Marie Denee and The Curvy Fashionista site have been featured in Lucky Magazine, WWD, Glamour Magazine, Black Enterprise Magazine, Marie Claire Italia, The London Times, The Wall Street Journal, Madame Noire, Shape Magazine, The Ricki Lake Show, The Los Angeles Times, and many more. She has also worked with some of the top retailers and brands including Nordstrom, Chevrolet, Marina Rinaldi, Beyond the Rack, Ashley Stewart, and others through hosting, consulting and strategic partnerships. 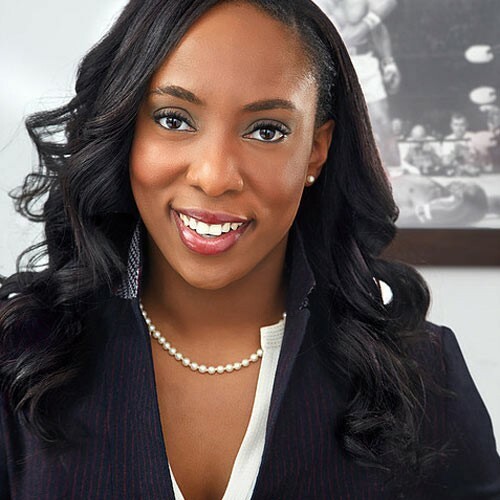 Rana E. Campbell | @rainshineluv - Rana Campbell is a marketing strategist, freelance writer, content creator, and host of the Dreams In Drive Podcast - a podcast she launched in January 2016 that teaches individuals how to take their entrepreneurial dreams out of PARK and into DRIVE. With over 80 episodes in her arsenal, she has interviewed top leaders in lifestyle and business and was featured as a empowering podcast by Essence Magazine and a top Business podcast for Black Voices on Apple Podcasts. 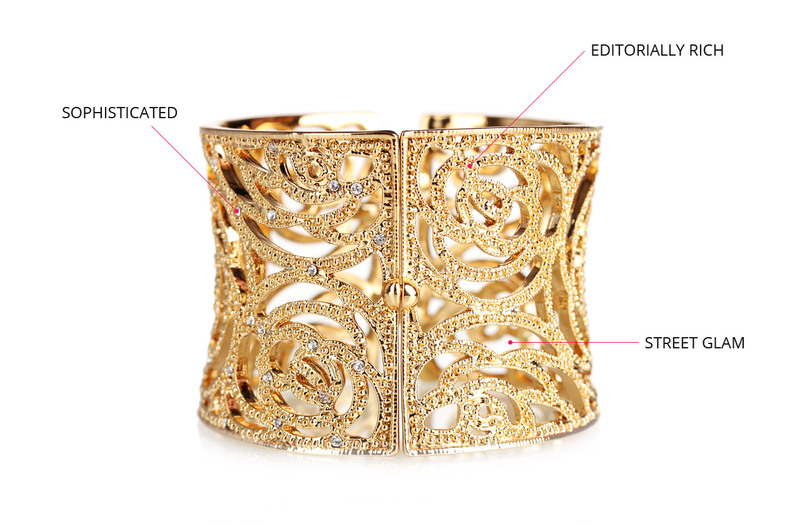 Rana’s work has been featured on MadameNoire, Blavity, Huffington Post, Fox 5 Good Day New York, XOJane, and more. 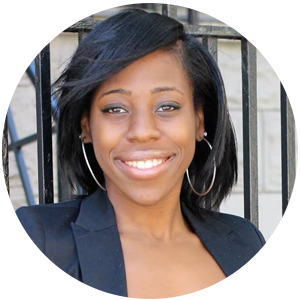 She is a 2013 graduate of Princeton University and a proud graduate of the Emma Bowen Foundation media program. When she isn’t marketing or podcasting, Rana enjoys practicing her fashion photography skills, taking her favorite heels dance class, snuggling up with a good book or movie, and writing poetry. 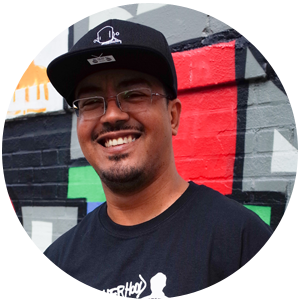 James Lopez | @imjamesjlopez - James Lopez is a father and technology entrepreneur based in NYC. Before founding FatherhoodIsLit.com, James co-founded ThePhatStartup.com. The Phat Startup focused on bringing awareness and resources to under represented technology entrepreneurs via conferences, online media and more. He loves to build community and loves working on customer development via lean methodologies. James holds a Master Of Telecommunications and a Bachelors Of Science in Computer Science. His love of technology has allowed him to work with some of the worlds brightest minds and greatest companies. With #FatherhoodIsLit, he gets to focus on his real passion of being a dad and helps other dads find events they actually like to do with their kids. He believes that your presence never has to be boring and loves proving it. Victoria Jackson | @thecapitalv -Victoria Jackson is a digital public relations specialist, contributing writer, and native Houstonian. 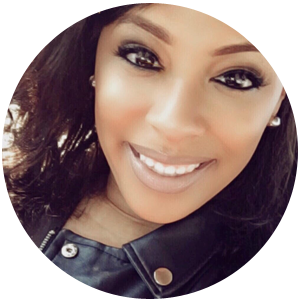 A graduate of Hampton University, Victoria uses her skills and experience in creative communications to help brands grow and connect online. When she’s not obsessing over press pitches and social media campaigns, you can find her blogging at thecapitalv.com or exploring the lovely city of Houston. 5. In some cases there will also be time at the end of each chat for Networking - let the people know what you’re working on, make connections, exchange numbers, follow and support each other! You can find/follow the conversation by typing #FlyDuoChat into your Twitter search bar. This will bring up all tweets and participants (view the Latest).